Hello everyone its that time of year we look forward to eating and drinking things that are green. 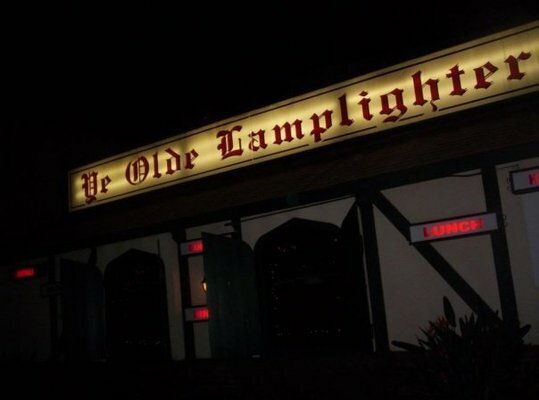 Ye Olde Lamplighter in San Bernardino was highlighted on “The Fork Report” with Neil Sevedra on KFI yesterday afternoon where they promised a atmosphere of fun, drink and food. They estimated they would sell over 100 pounds of Corned Beef and Cabbage. We’re toasting to St. Patrick this week, and enjoying the beautiful spring weather too. Starting Wednesday, and leading up to St. Patrick’s Day on Sunday, we’ll have special events and food on the Hangar 24 Patio. Frequent Flyers enjoy double miles on Monday, and Frequent Flyer Lottery on Tuesday- with every swipe of your Frequent Flyer card you can win stickers, 1 liter growlers, and sweatshirts. Wednesday Night Live Music on the Hangar 24 Patio will definitely get you in the mood to celebrate like the Irish. Sonic Drive-In is having a special St. Patrick’s Day Double Play. Visit them on March 17th and order all your Sonic favs. Then bring the pink receipt back to Sonic any day in March and receive all the food for FREE! Free fries at Burger King this weekend served with Heinz St. Paddy’s Sauce (it’s green)! Thanks to Dine 909 for the tip! For the families, John’s Incredible Pizza Co. is celebrating by giving everyone a $5 FunCard to use between 3/19-4/15/12. All you have to do is eat at their buffet and wear green from 3/16-3/18. The Salted Pig has all day specials including Jameson Irish Whiskey and $5 draft beers (while they last). They’ve got a Green Flash Double Stout that sounds like it could be delicious! Smokey Canyon BBQ in Riverside is the place for southern cooking but, you know what they say, everybody’s Irish on St. Paddy’s Day! They’ll be serving the Irish favorites like corned beef and cabbage. Expect live music and green beer! Festivities start at 11:30 a.m. They say the Tartan of Redlands has the best corned beef in the IE. Taste for yourself on Saturday starting at 11 a.m. and stay through the evening and enjoy some bagpipes. Mill Creek Cattle Co. has an all you can eat buffet featuring the St. Patty’s Day staples like corned beef and cabbage – and of course green beer. Head to Kiddoughs Bakery-n Coffee House for an Irish car-bomb brewcake…try not to drool. While I know you are not a fan of Ed Scott he does do a great St. Patrick’s day event and it is right here in Rialto….sad that you would not support our own business community.